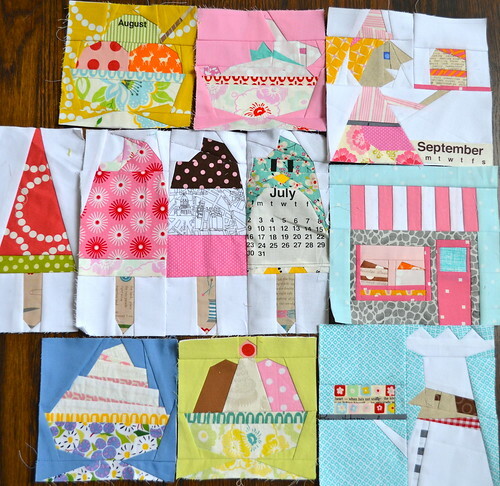 I was on a tear last night, I just had to make the rest of the September blocks for the Super Penguin Quilt Along (these are made by Ayumi of Pink Penguin & can be purchased at Super Buzzy). I love this little pastry chef with his cake! Now, how come you can never see those errant threads until you photograph a project? This waitress is bringing out an odd looking slice of cake. Yes, I messed this one up and am not sure if I will take it apart or not. That top pink/orange Tula Pink triangle should be white and the upper layer of text fabric should have been a rectangle with the pink/orange triangle on top. Somehow missed a line. It was dark, it was late, I was tired but determined. 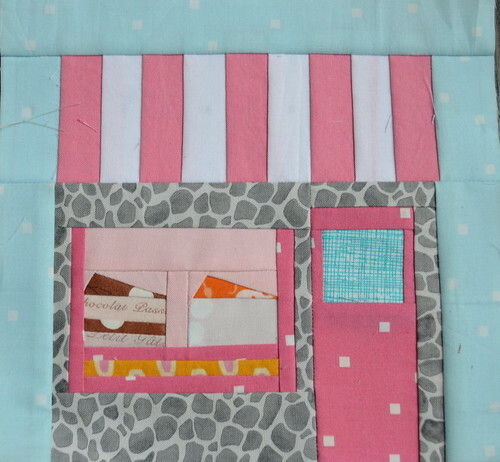 This is the little cafe I made them a few weeks ago. I feel like I missed an opportunity here to use some text print and have some kind of a sign on this bakery! 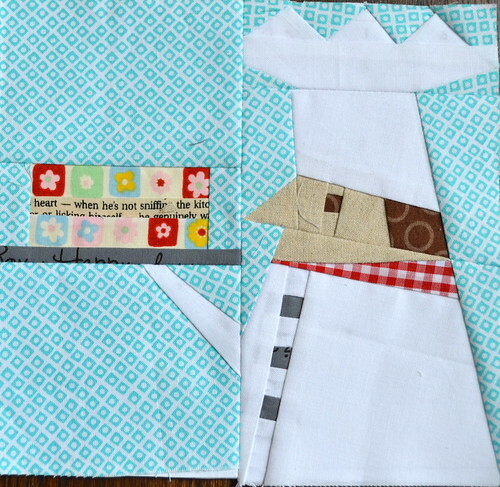 Here are the three months of blocks all together (the watermelon pop is a bonus, so maybe it will go on the back?). I am about to go work on the October blocks. This is the first time all week I've had a moment during the day to myself. Volunteer work, dog with torn ACL (surgery, vet visits), babysitting for a friend. Now I got my grocery shopping finished right after pre-school drop off, have my blog post written and I have a good hour and a half to sew in peace! 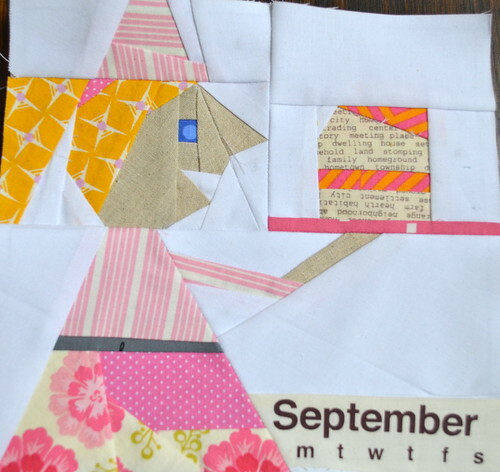 I adore these paper pieced blocks!!! Dang, jealous- wishing I had a lovely little collection like this made up- too cute!